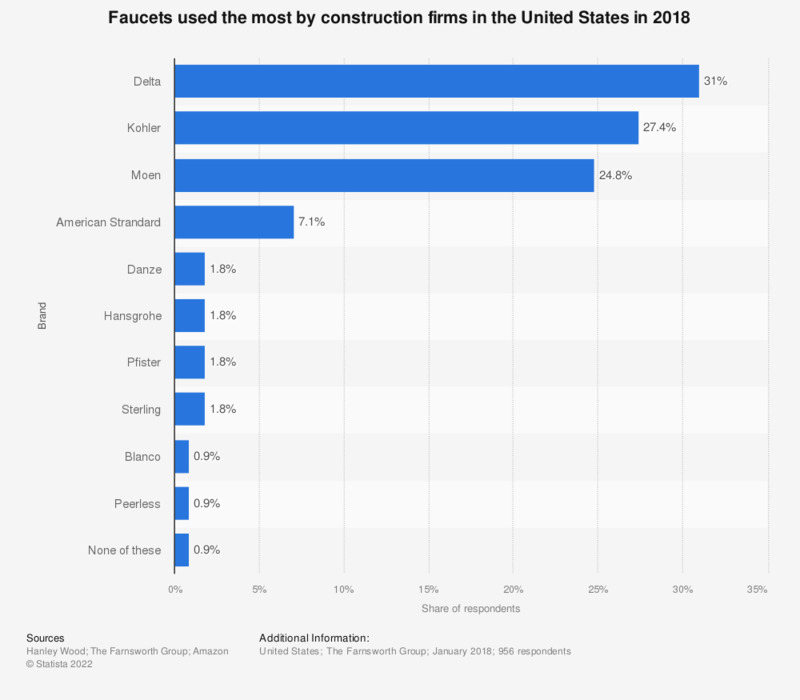 This statistic depicts faucets brands used the most by U.S. construction firms in 2015. The survey revealed that 17.9 percent of the respondents use Delta brand faucets the most. Residential construction involves the building and selling of both individual and multi-family dwellings. These residential dwellings may include single-units, manufactured housing, such as mobile homes and pre-built houses, duplexes, quadplexes, apartment buildings as well as condominiums. home renovation also forms a major part of residential construction. Residential building improvements in the United States were estimated to have an annual value of over a hundred billion U.S. dollars.